It has sought either waiver of verification fees as a one-time measure or charge of only Rs. 100 as verification charge per candidate. 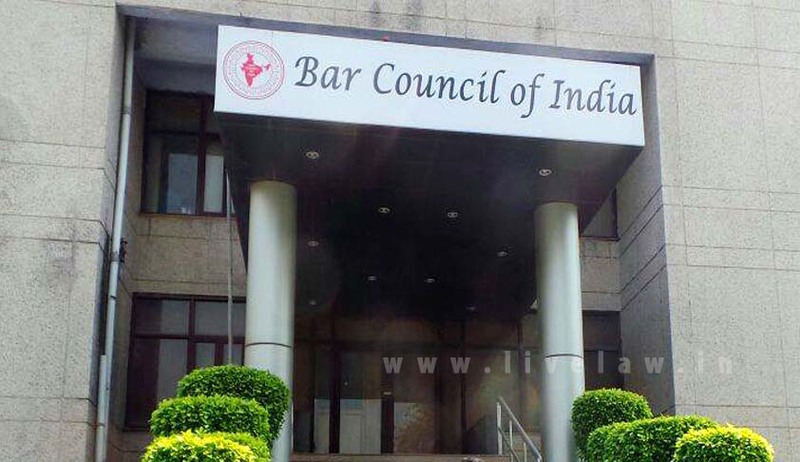 The Bar Council of India (BCI) on Friday filed an application in Ajayinder Sangwan Vs Bar Council of Delhi and Another, seeking that the government be directed to instruct the University Grants Commission (UGC) to either waive verification fees as a one-time measure or to charge only Rs. 100 as verification charge per candidate, as that is the maximum amount charged by state Bar Councils from advocates. Appearing for the BCI, Senior Advocate KK Venugopal submitted before a bench headed by Justice Pinaki Chandra Ghosh that universities were charging very high fee for verification of certificates. He also submitted that no verification was done since 1986. Universities be directed to complete verification of documents within 30-45 days and inform Bar Councils accordingly. State Bar Councils be directed to prepare the voter list in accordance with details received from various universities within 30-45 days from the date of such receipt. State Bar Councils be directed to hold elections as per verification rules, 2015, within 75 days, as stipulated under Rule 23 of the Verification Rules, 2015. The bench was hearing a plea challenging the BCI (Certificate of Practice) Verification Rules, 2015, which mandates the verification of lawyers. After Venugopal's submission, the bench directed the universities to place their stand on February 28, the next date of hearing. In the meantime, the bench asked the BCI to publish an advertisement in one national English newspaper and different regional newspapers where the universities are located.